The Essential Tool for Wanderlusters: Squirrel App – Your Travel Bucketlist! There’s an old saying – “a goal that’s not written down is just a wish” and it holds to be likely true. A goal can never be fully realised until we put it into practical action. This is even more so true for travel, with the complexities of planning, saving and booking a trip away from home. While some may still love the paper and pen, many of us live by the device you’re probably reading this on right now – the smart phone. This opportunity of a mobile-first world is what led three Brisbane locals to creating an app that can help travellers build and plan their bucket list goals. They called it Squirrel. The iOS app is built around the ability to build you own bucket list, and tick it off as you go! It’s a great app for anyone who loves to set a goal then track the progress. 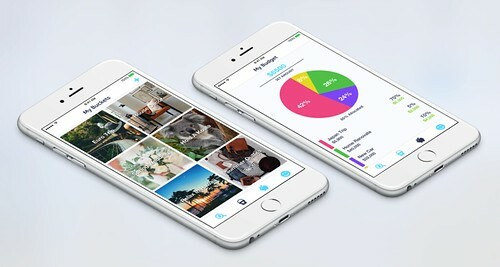 Squirrel is also positioned as a financial app, with bank-connection technology that let’s you use your existing accounts to help budget towards your goals. This can be really good for when the rubber hits the road and you need to save towards flights or hotels. Launched in September last year, the app has already risen to #1 in finance on the app store. While some love Squirrel as a tool to view their money in one place, the key functionality is around discovering bucket list ideas and building your own. The ‘My Buckets’ screen acts as a digital home screen where all your goals are put. Co-founder Amanda Andrews said that the term ‘bucket list’ in Squirrel can be more than just travel. The team built Squirrel to accomodate almost any type of goal, from a new car, home reno or even just a shopping splurge. The app will be released in over 85 countries. If you download the current app you’ll be first to know of the update. With all this said, it begs the question.. What’s on your bucket list? It’s a new year and there’s plenty of opportunity ahead. Now’s the time to plan your next travel adventure.